There are two kreplach “occasions” coming up—Yom Kippur and Hoshana Rabbah. What exactly are kreplach? 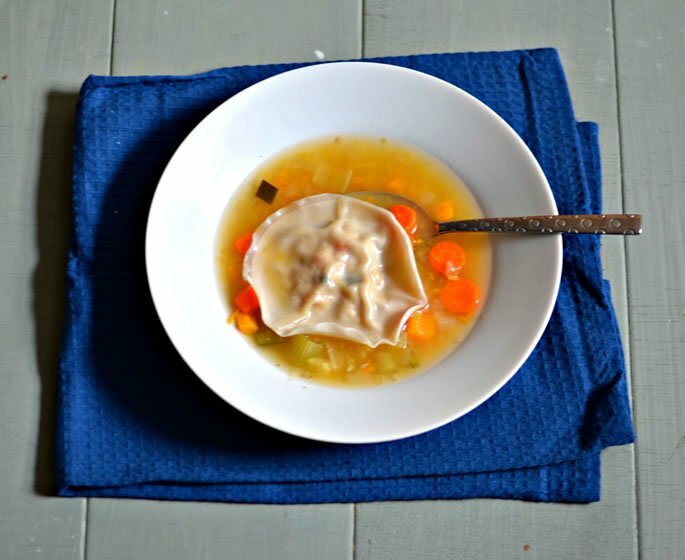 Boiled or fried pockets of dough stuffed with either meat or chicken, usually served in chicken soup. The meat symbolizes severity; the dough is an allusion to kindness. In preparation for the Day of Judgment, we “cover” the severity with kindness. To understand more about kreplach, what they represent and when else we eat them, check out this great explanation. If you’ve never tried them—you’re certainly missing out, and this would be a good time to start. Before Yom Kippur it’s customary to stay away from heavy foods, including red meat, so in this recipe I’ve used chicken. There are also other options for the dough. If you’re frying them, puff pastry, wonton wrappers and ravioli dough all work well. If you’re boiling them, I find ravioli dough or wonton wrappers to work equally well. Ravioli dough is a bit thicker (unless you make your own, in which case you can roll it as thin as you like). The tricky part can be getting the dough to stick, but the best method is to use cold water. You can brush some cold water around the edges of the wonton wrappers, which will help seal them. Alternatively you can dip the top wrapper quickly in water and then lay it over the filling, pressing down gently all around, which is how I did it. You’ll need to gently drop the kreplach into boiling water. The wonton dough is very thin and fragile, so I find the easiest method is to place each krepel on a slotted spoon and lower into the water, and it will glide right off. Cut the carrots, onion, zucchini, sweet potato and celery into small pieces. Place the diced vegetables into a pot with the chicken, garlic, salt, water, celery leaves and the whole peeled beet. Bring the soup to a boil and then reduce to a simmer. Cook for 1½–2 hours, then remove the chicken, beet and celery leaves. Remove the chicken skin and bones and shred the meat. Mash about ¼ cup of the soup vegetables and mix it into the chicken with 1–2 tbsp. of the liquid. This will be the filling for the kreplach. 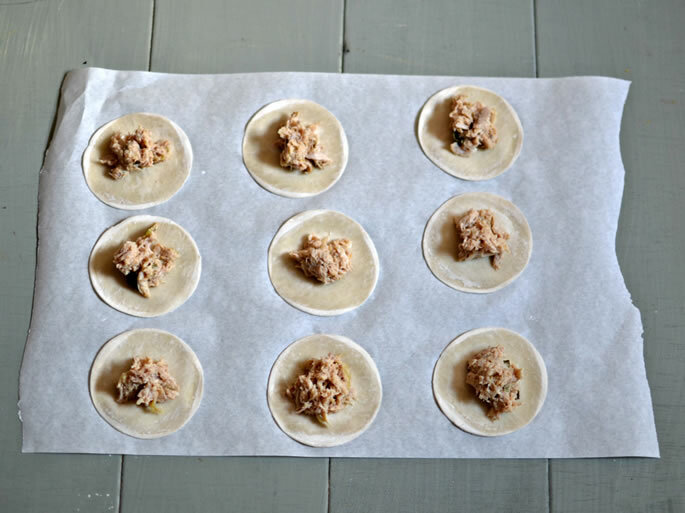 Lay out 15 of the wonton wrappers on a piece of parchment paper. Place a teaspoon of the filling in the center of each wrapper. 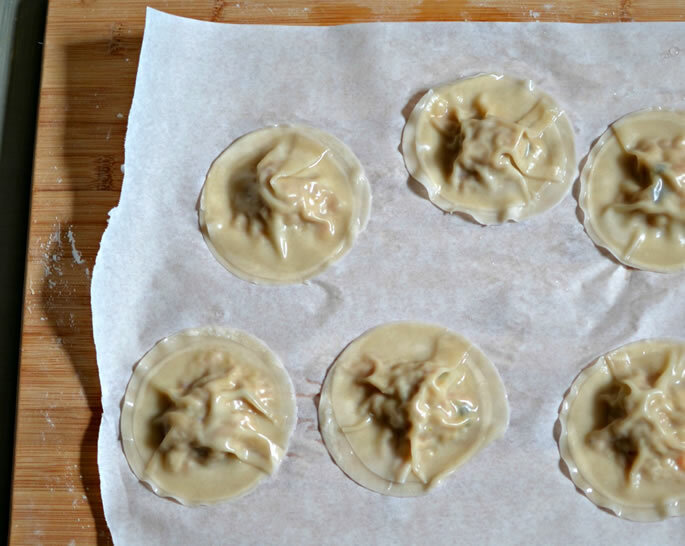 Dip each of the remaining 15 wonton wrappers quickly into cold water and place over the filling. Push down gently to seal the edges. Bring a pot of salted water to a rolling boil. Gently drop 3–4 kreplach into the pot and cook for 1–2 minutes. Remove with a slotted spoon and place on a piece of parchment paper to cool. Add the kreplach to the pot of soup shortly before serving. 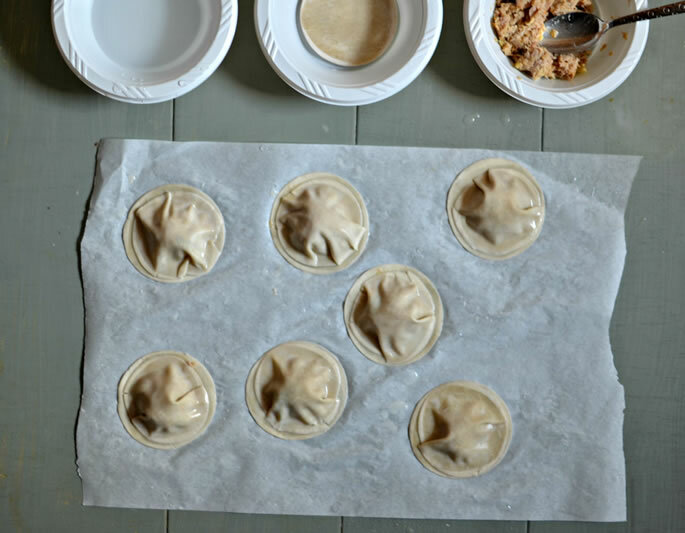 To freeze: arrange the kreplach on a baking sheet in a single layer. Place in freezer for 1-2 hours, then transfer to a zip-top bag and return to the freezer until ready to use. Wishing you all an easy and meaningful fast. RECIPE There are no eggs on the list of ingredients, so what eggs are you using in the dough? Kreplach with chopsticks! Thank you! They came out delicious! Kreplach What would you say about the interchangeability of the words kreplach and verenekes ?